May 17, 2017 Social MediaBy DEANknows! We all know that Facebook Ads are all the rage for an affordable, effective digital marketing campaign. In this article, we will cover some of the most important aspects of creating a great Facebook Ad. Many people are under the impression that Facebook Advertising simply means to “boost” your post. Although that is the most common option that people aware of, it is the one thing we recommend NOT to do. The beauty of Facebook Advertising is that you can hyper-target your ad to only run on certain people’s news feed. You don’t get that functionality with “boosting” your post. Here are a handful of things to consider to make your next Facebook Ad successful. Creating your target audience is one of the most powerful pieces of Facebook Advertising. This is where you choose who will see your ad. You really need to think this through as you want the right people to see the ad and you don’t want to pay for putting your ad in front of people who wont convert. Facebook Demographics let you choose the TYPE of person that will see your ad. Do you want to get in front of Parents? Homeowners? Small Business Owners? Or are you looking for someone that works in a particular field? Keep in mind, these do overlay, so if you choose someone that is a Mother, has a net income over $100,000 and is currently away from home– your ad will be limited to that exact demographic. This is extremely powerful for hyper-targeting your potential clients. Facebook can help you reach specific audiences by looking at their interests, activities, the Pages they have liked and closely related topics. You can combine interests to expand your ad’s reach. Unlike Demographics, every interest that you add will be a larger group you are advertising to. Facebook Behaviors let you market to people that do certain things. You can specifically reach potential customers based on purchase behaviors or intents, device usage and more. Within behaviors you will find options such as “Likely to Move” or people who have made donations to Cancer. Between the Demographics, Interests and Behaviors, you should be able to laser target your ad to exactly who needs to see it. This makes your advertising spend very efficient. When placing a Facebook Ad, you can determine exactly where you want your ad to be displayed. You can choose to have it displayed within the News Feed on Mobile, Desktop, or both. 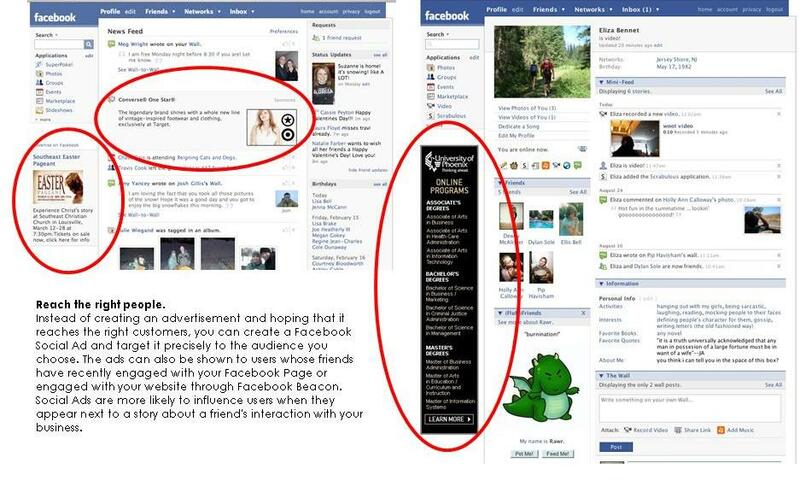 You also have the option of placing your ad on the right side of the main Facebook page and on their Audience Network. Most advertisers think its best to put their ads everywhere thinking it does not effect the end result. That’s not a very efficient way to go about it. Someone viewing your ad on a mobile device won’t behave the same way as someone sitting in front of his or her computer in their comfy chair. You can preview what your ad will look like in each placement by clicking the “Ad Preview and Placements” in Facebook Ads and in Power Editor just check the “Placement Section” under the “Ad Sets” tab. 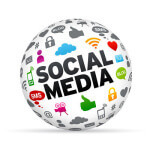 Social Media is very visual. Facebook allows you to add several different photos for your ads, so try different ones, review your results and keep the ones that work best. It is worth noting that Facebook only allows 20% of the photo to have any type of copy. They will reject your ad if you put too many words on the photo—so if you are putting copy on the photo, be choosy and very specific. I have noticed that even after you get a notification that your ad was approved, you can later receive another e-mail saying it was rejected. So after seeing that “approved” e-mail, don’t jump up and down quite yet. Facebook lets you choose a Call to Action to place on your photo. Different Calls to Action should be used depending on what you are advertising. The “Calls to Action” are simply the little grey buttons that you see on Facebook Advertising. I am of the belief that every ad should have a Call to Action, so If nothing fits, at least use “Learn More”. You have a variety of places that you can put copy on your new Facebook Ad. You have your Headline which is actually directly below the photo. You are limited to very few characters here so be precise. You have Text which is where the majority of the copy will be placed. The text ends up being placed directly above the photo and gives the most characters for your description. The last place you can put ad copy is a little hidden. You must click “Show Advanced Options” then you will see that you have the NewsFeed Link Description. The copy you place here will be BELOW your Headline. They give you a lot of characters to use here, but be aware it still may be cut off in your final ad. 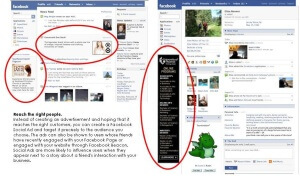 One fantastic feature of Facebook Ads is the ability to track your ad. You can use Conversion Pixels to track overall conversion on your website for the most full featured analytics. For more information on how to use Conversion Pixels, click HERE. At a minimum you should look daily at your Reach (which is determined by your spend and the size of your target group) your Number of Clicks (if your ad is driving traffic to your website) your Click Through Rate which is the number of clicks divided by the number of impressions and your Cost Per Unique Click. They have a ton of other metrics that you can use and most of them are very informative. Once you place enough ads and review your success statistics, you get a really good feel for what works and what doesn’t. In the end, its not all that challenging to create your own Facebook Ad. It doesn’t take paying close attention and most importantly looking at the results and making adjustments for ultimate success. 4 NEW Facebook Features You NEED To Know About!